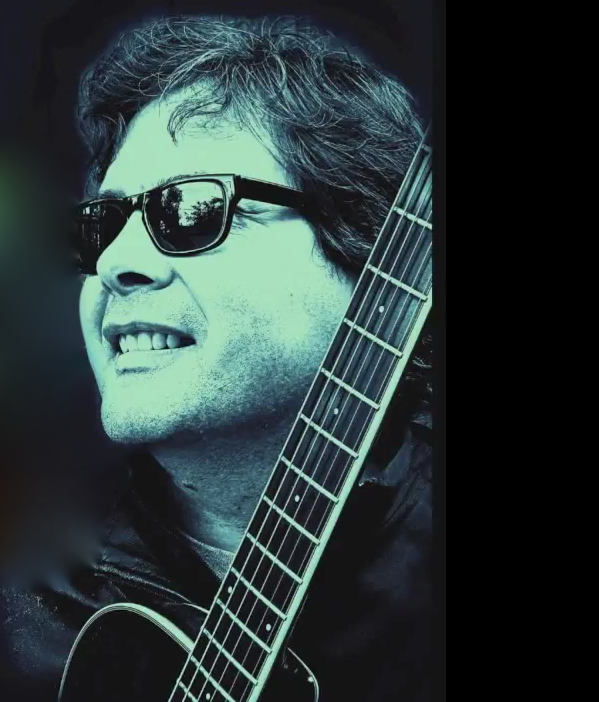 Reg is the real deal and has played with many known artists on both sides of the border and has been featured on more than a few highly acclaimed recordings. I love this musicians work! 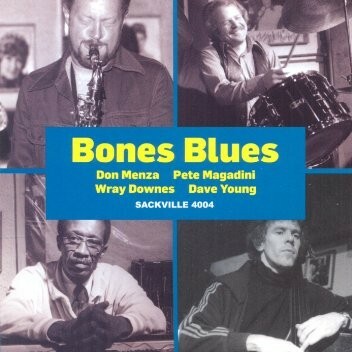 Delmark/Sackvile recently reissued my album Bones Blues, featuring Don Menza – tenor sax, Wray Downes – piano and Dave Yound – bass. This one was recorded in Toronto in 1977. And as always you can find more information on my Recordings page. 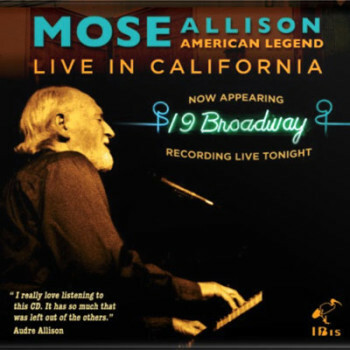 Mose Allison’s new album, Live in California, is out now on IBis Records. Recorded live at the 19 Broadway club in Fairfax, Ca., this will be Mose’s final release. I am honored to have played drums AND produced this fine document of Mose as he is rarely heard: in an intimate club setting. 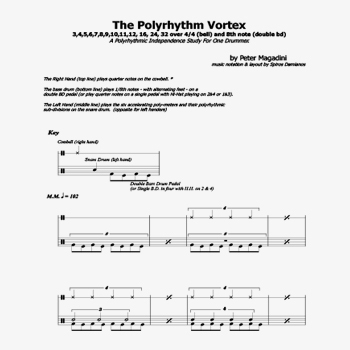 The Polyrhythm Vortex is an etude for one drummer playing 3, 5, 6, 7, 8, 9, 10, 11, 12 with the left hand on the snare while the right hand keeps a steady 4/4 on a cowbell. At the same time the feet on a double bass drum pedal plays in 1/8th notes throughout. A challenging task for a single drummer but the information as to how polymeters and polyrhythms. interact with each other is meant for all musicians.